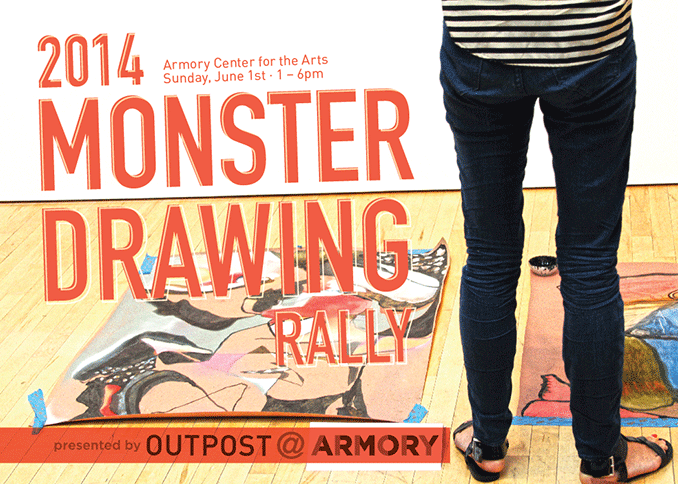 On Sunday, June 1st, I will be participating in the Monster Drawing Rally. You will have the opportunity to watch art being made and can purchase drawings for $75 each. Proceeds benefit Outpost @ Armory. Admission is $10 at the door. My shift will be between 3 – 4 pm. Hope to see some of you there!